2018MGA (MBC PLUS X genie music AWARDS) was held on Nov 6 at Incheon Namdong Gymnasium. Hottest KPOP artist including BTS, TWICE, WANNA ONE and more attended the ceremony. 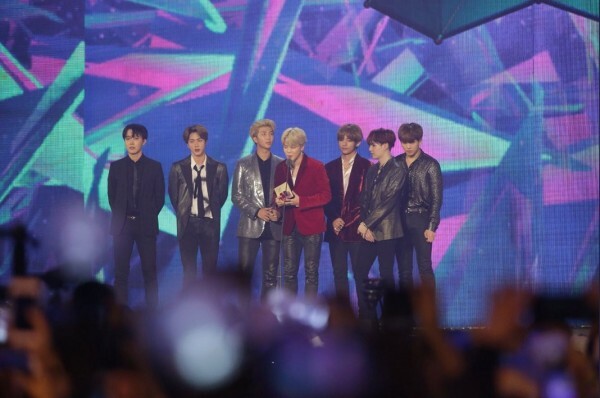 BTS won a total number of 5 awards, including Best Male Group, Best Male Dance Performance, Genie Music Popularity Award and two Daesang including Artist of the Year and Digital Album of the Year. Besides, BTS producer Bang Sihyuk won the Best Producer award and choreographer Son Sung Deuk who responsible for the choreography of BTS ‘Idol’ won MGA Best Choreographer award.